Located in southern Tenerife, The Alondras Park offers self-catering apartments while there is also an on-site restaurant. 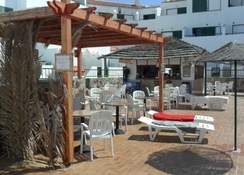 There are a range of facilities at the property include sun loungers, a swimming pool and Wi-Fi. Guests can grab a drink in the bar or explore the various eateries and drinking establishments in the local area. 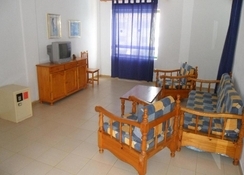 The apartments are nearby to a few golf courses including Golf del Sur and Golf Las Americas while you can also reach Aqualand and the Safari Shopping Centre from this location. The Alondras Park Apartments are suited to couples, families with children and groups of friends who want an ideal location and the freedom that staying in an apartment on holiday brings. 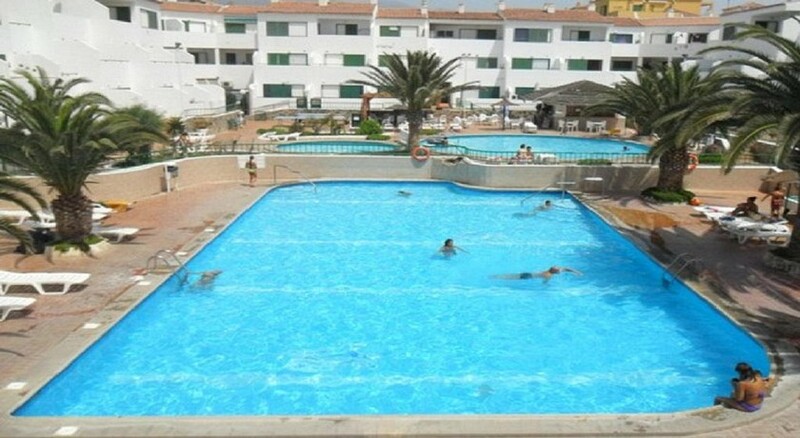 The Alondras Park Apartments are on the Costa del Silencio which is in the south of Tenerife. The nearest beach is 1.2 miles away and it is also close to several golf courses including Golf del Sur (2.5 miles) and Golf Las Americas (6.1 miles). Aqualand is 7.1 miles away and the Safari Shopping Centre is a distance to 6.3 miles. The Tenerife Sur Airport is 4.6 miles from the complex. There are two apartment types on offer at Alondras Park. One-Bedroom Apartments can sleep either two adults or two adults and one child. 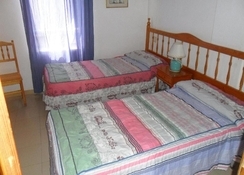 The Two-Bedroom Apartments have capacity for two adults and two children, three adults or four adults. All the apartments have a fully equipped kitchenette so you can prepare your own meals as well as a balcony and TV. The apartments at this complex has a kitchenette which comes equipped with everything you need to prepare meals during your stay. There is a minimarket just a few minutes’ walk away from the property. You can also dine in the on-site restaurant that serves local and international food while there is a bar as well. The surrounding area has a multitude of different bars, cafes and restaurants that you can go to while you are on holiday here. 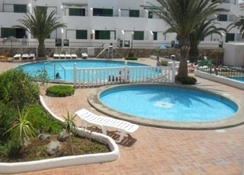 The Alondras Park Apartments have a swimming pool with sun loungers, a children’s pool and Wi-Fi is available. There are many bars around the area that the complex is located in. Golfers can play on either the Golf del Sur or Golf Las Americas courses and there the property can assist with booking excursions to attractions in Tenerife. The nearest shopping centre is the Safari Shopping Centre or you can head to the C C Coral Mar for live entertainment which is less than 100 yards from the apartments. The first apartment offered was dark and pretty dirty. As we where self catering, the kitchen equipment was pretty much none! The fridge was really small and the balcony door looked like it would collapse if you tried to open it. We complained and were moved to a much better apartment right next to the pool. This met our needs much better. The kitchen had all the basics, enough for the 3 of us and the fridge freezer was a normal uk family size. They also provided a kettle and toaster with no charge for the inconvenience. The whole complex needs some TLC and upgrading, and looks little like the pictures on the internet, ie, there was only 2 pools but the pics show 3. The 3rd seemed to be covered or filled in with artificial grass, a pool table and sun loungers where it once was. We were right near the pool bar. If you do not like loud music then definitely not for you, it went on at 10 and off at 6! Fortunately ok with us! Although the bar staff or owner were not particularly friendly and quite abrupt. Seriously need a chill pill, but for us it became a challenge to get a smile out of them, well we all have our little holiday games! Cleaning was minimal although we did get fresh towels twice in the week. Showering was a game...hot water or lack of being the biggest issue. Running a bath required boiling the kettle and saucepans of water! Can’t comment on the food as we never ate there but the Onsite restaurant always seemed busy so couldn’t have been too bad. 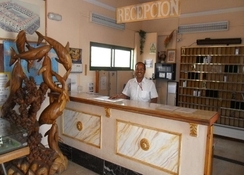 The staff where very polite and helpful, especially booking excursions and giving clear directions. Would we return...probably not. We always go self catering and to be honest this has been the worst accommodation experience. However, you pay your money and take your chance.